Allen Racing debuted their Lucas Oil dragster’s new wrap in record-breaking style. Since November’s last race the car was torn down and rewrapped in time for the National Sand Drag Association’s ’08 season opener in Yuma, AZ this weekend. The first pass off the trailer Dan put down a 2.441 pass breaking the previous sand-drag Top Alcohol world record of 2.496 set in 2004. For the record to stand it would need to be backed up the following day at high noon. The additional heat of Saturday was no match for Lucas Oil’s protective lubricants and the dragster not only backed up the previous pass but beat it with a 2.411 for the record books. The 2008 NSDA season is now underway after a record setting season opener at the Cocopah Casino in Yuma, AZ. Here is our first look back at the wildly successful event in Yuma with a small sampling of pictures courtesy of C3 Productions. To purchase any of these photos, contact C3 Productions through their web site, www.c3productions.net. 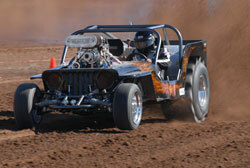 The NSDA 2008 Season Opener is finally in the books at the Cocopah Casino in Yuma, AZ. Scott Whipple took the Top Fuel class win on a single when Jeff Janoe could not answer the call. Dan Allen finished off a dominating weekend with a 2.429 final round pass in a victory over Mike DeNunzio. Top Eliminator was won by Steve Hoffman, who defeated Leon Januik in the final round. Other winners on the day were Keith Ahart (Pro 1), Wes Johnson (Pro 2), Charlie Johnson (Pro 3), Ryan Winkle (MP 1), and Rob Winkle (MP 2). 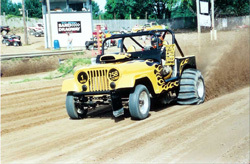 The 2007 sand drag season was certainly one to remember. I thought I'd do something a little different to put a finish on 2007 as the new 2008 season quickly approaches. I take many pictures at each event, and most of these are left over shots that haven’t made it to NSDN yet. 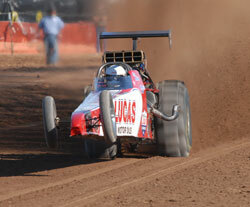 Enjoy these photos, and be sure to check in the weekend of January 18-20 for NSDN's Daily Race Coverage from Yuma, AZ. Wow, it is hard to believe that the holiday season has passed us by and a new year has poked its head over the horizon. Hopefully it was a good holiday time for everyone. I thought I would do something a little different for the first column of 2008, a racer profile. We all see the names and hometowns of racers in the results section, but unless you know the person from racing at your particular track, you may have no idea what they are like. I am going to try and put some names, faces, and race cars together for this. If the response is positive, I may try it again in the coming months. Welcome back to NSDN after a holiday break. We hope everyone had a great holiday season and New Years. Here is a quick update on what’s new at NSDN. 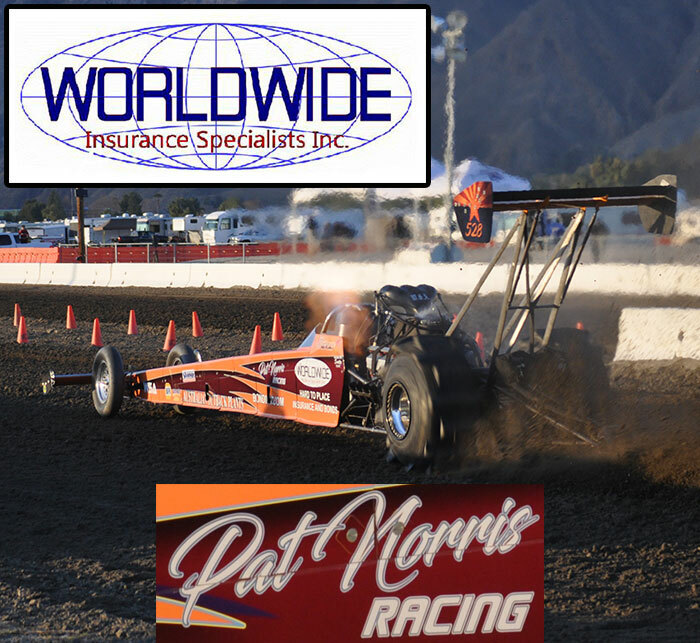 We will start the 2008 season covering NSDA’s season opener at Yuma Speedway Park in Yuma, AZ in just less than two weeks time. The next “issue” of NSDN will be online later in the week, keep an eye out for that. Also, if you have not seen the latest edition of “Picture of the Week” be sure to head on over to that section of the site.